The Greek theater mask of the Messenger is a mask of misinformation. This mask has qualities of pride, jealousy and vanity. The Messenger acts in his own self-interest and helps to fuel the support of cascading tragic events. 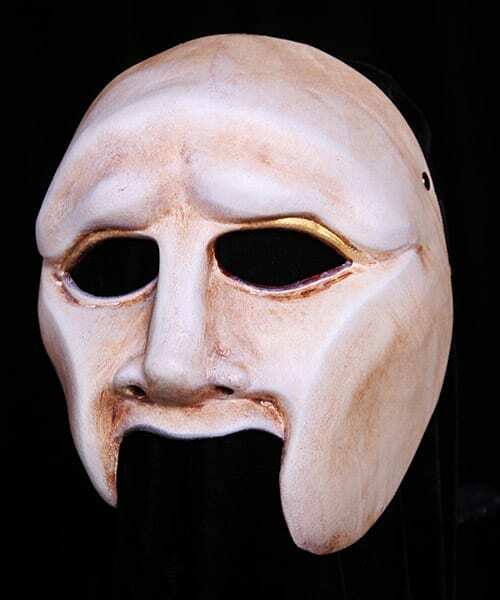 Like all of the masks offered by Theater-masks.com the Messenger half mask is made to last. Quality workmanship and quality materials are present in its construction.